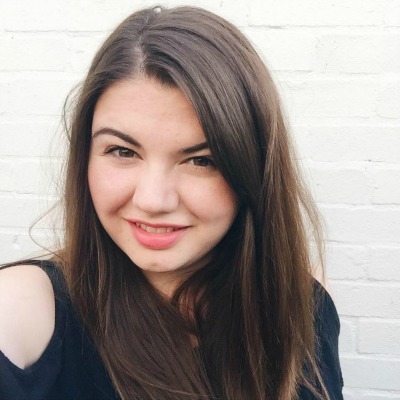 I have loved blogs for years and years, and after falling pregnant I began reading the ones which focused on family life. I found it so exciting to be able to look back through people's memories and experiences as parents, and it helped me to picture what my life would be like once Zach joined us. I decided pretty early on that I wanted to write my own, and after a half hearted attempt during pregnancy I began properly writing when Zach was 6 weeks old. 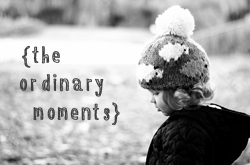 This post marks my 26th post capturing our 'ordinary moments', which means its been half a year since then already! I love linking up with Katie's blog each week, sharing my story and being part of the wonderful community of bloggers around me. I'm so glad I bit that bullet and that I'm still here writing away and building up my little corner of the internet! 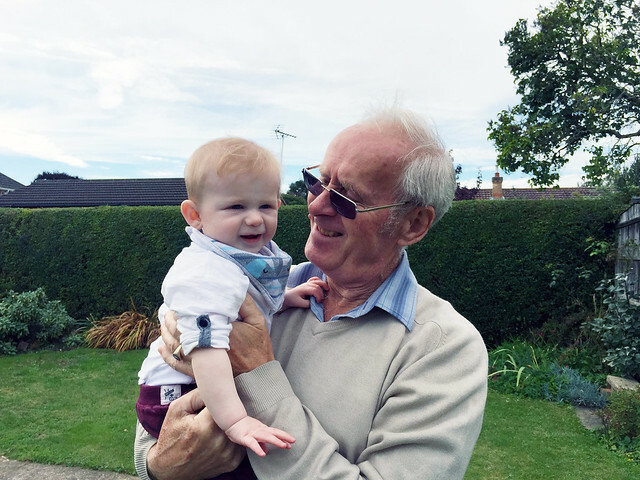 Jono has the sweetest tale from his childhood that melts my heart every time I hear it. 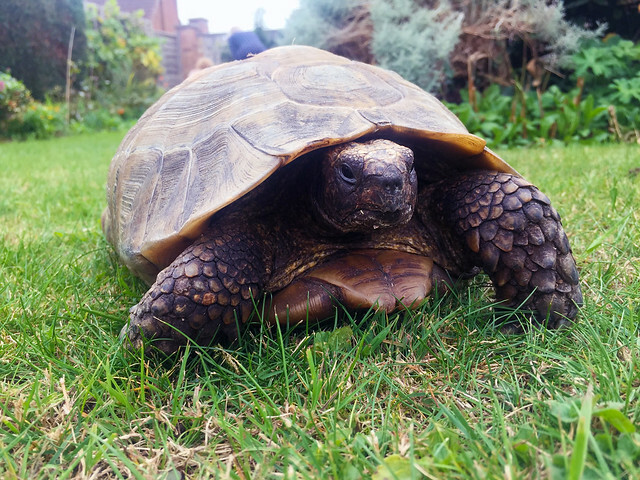 As the story goes, he was in primary school when during one lesson the teacher asked the children to share the most exotic animal that they knew of. Jono said a 'Milly', which is as an animal with a hard shell with arms, legs and a head which could all fit inside. 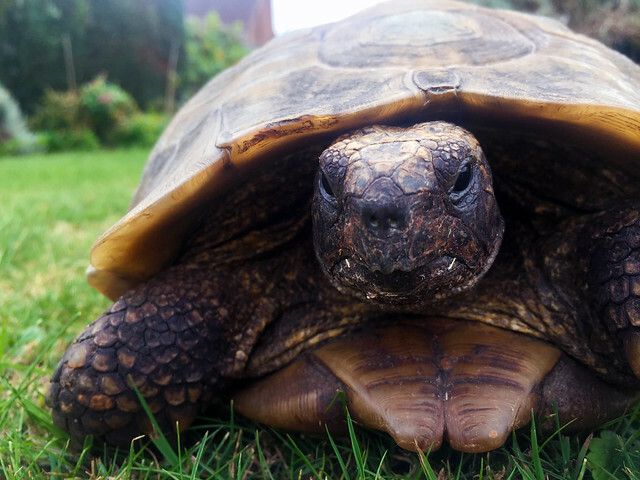 The teacher said that the animal he was describing sounded very similar to a tortoise, but Jono was so sure that it was an animal called a Milly. 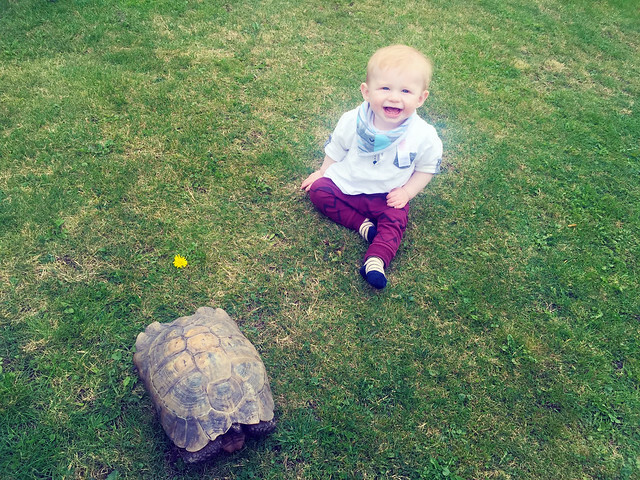 It wasn't until he got home and told his parents "my teacher says that Milly is a tortoise" that he learned the truth. She is still living today, and resides with Jono's grandparents, and until last weekend neither Zach or I had ever met her! 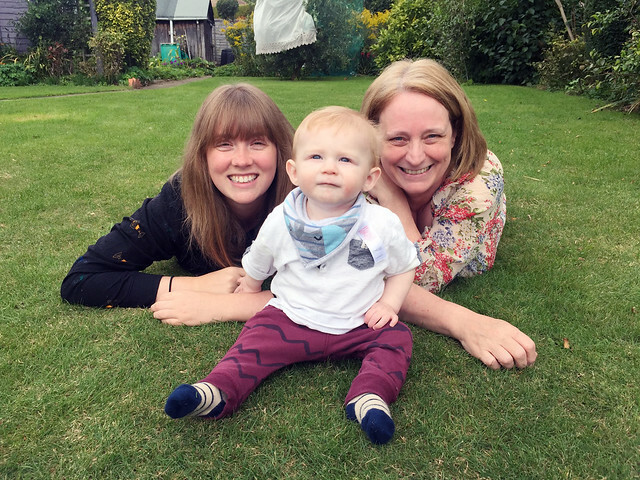 It was a surprisingly sunny Sunday morning when we drove up to Lincolnshire, with Zach, his Nanny and I all squished up together in the back seats whilst Jono and Aunty Jessie sat up front. We arrived after a brief shopping centre stop off en route, and after a cup of tea we headed out to the garden to meet Milly! She was hiding away in her little house, but after being brought out she happily roamed around the garden. She held Zach's interest for approximately 5 minutes as he crawled after her and tried to pull himself up on her before getting bored and crawling off in the other direction! I on the other hand was totally smitten with Milly! After a little photo session we put her back to bed and headed inside for a roast dinner. Such a classic Sunday meal but something we haven't had in so long, and we were so happy to dig in to the feast. A plum sponge pudding with cream finished off our meal perfectly and Jono's Nan even sent us off with a bag of plums from the garden! I always think there's something so special about sitting down as a family and sharing a roast, and I'm so happy to be a part of Jono's family now. As we sat around eating I counted my lucky stars, so grateful to be surrounded by so much love. After a leisurely stroll to the pub (funcle Lewis was there after all) and back we sat chatting in the living room, watching Zach play with anything he could get his hands on. That boy just wants to cause mayhem! 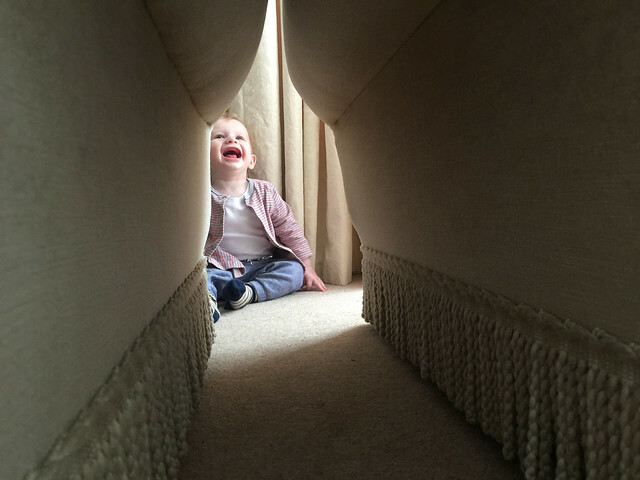 He found a gap between the sofa and arm chair that he could fit between, and proceeded to crawl up and down creating the most hilarious game he has ever played! It was so sweet to watch him, and he was so pleased with himself as he reached the open space behind them. It really was a lovely and relaxing way to spend a Sunday, and I can't wait to see Milly again in the spring! Aw that sounds like a perfect way to be spend a Sunday. I love family time and we had our first roast dinner in a long time this weekend as well.